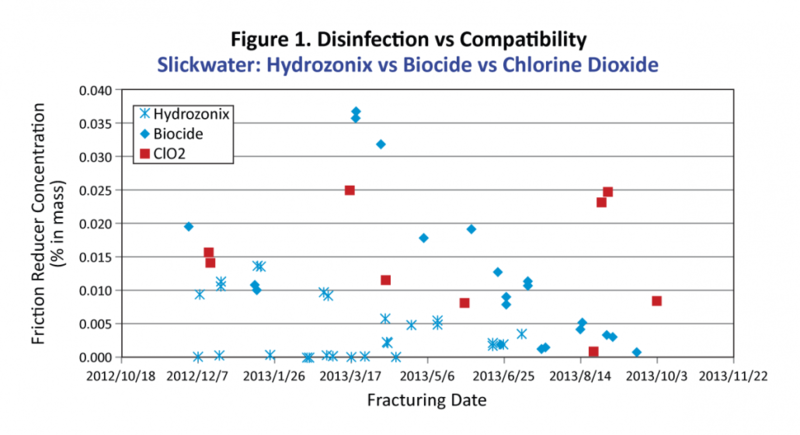 Figure 1 demonstrates how water treated with the Hydrozonix ozone-based process is more compatible with frac fluid formulations than water treated with liquid biocide or chlorine dioxide. The use of ozone, a strong oxidizer with a short half-life and the focus on mass transfer provided by the technology, ensures that the remaining oxidation does not interfere with the frac fluid chemistry. Other technologies have little control over their residual oxidation, which leads to compatibility issues. When using the EF80 treatment, operators used 70% less friction reducer than was required with liquid treatments that were incompatible with the original frac fluid formulation. 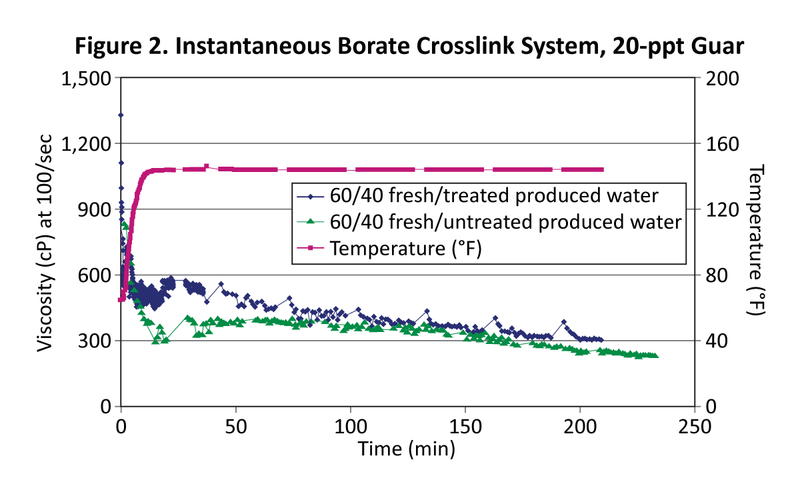 In Figure 2, water treated with the Hydrozonix ozone-based process provides a moderate performance improvement for crosslink gel frac fluids, while other technologies negatively affect gel viscosity and break times. The table at right shows results from a flowback treatment performed in the Eagle Ford shale at 20,000 mg/L TDS. Compatibility with crosslink gels was improved by 84%. This improved compatibility can lead to the use of less gel to maintain the targeted viscosity.